Pun’s Labyrinth started in 2012 and was the Disc Golf Course’s first PDGA Sanctioned Tournament. 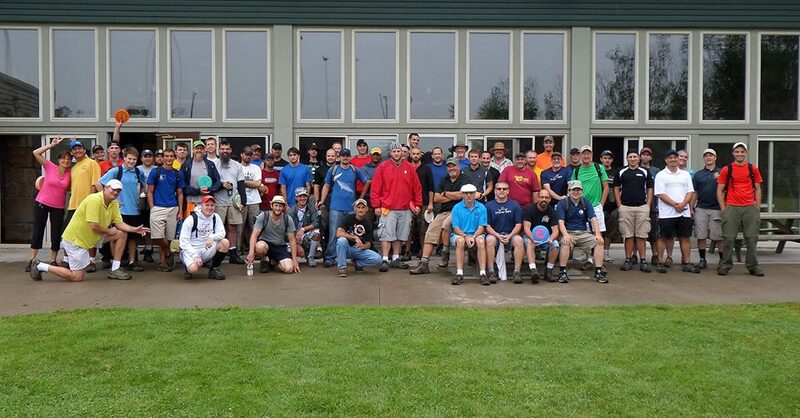 This yearly event is held at the end July and attracts a large number of disc golfers to the course and park. In 2013 it turned into a full three to four round weekend tournament with many of the players camping or lodging over night. We also had the pleasure of having two disc golfers from Sweden stop by and play on their way to the World Championships in 2013 and from Japan in 2015 we welcomed Professional Players Manabu Kajiyama, Shigeko Sekiguchi and Kazuo Shirai. We continually welcome professional and amateur players from all over North America each year. In 2018 it was decided to rename the event “The Labyrinth” highlighting the course’s intricacy through the woods off of Pine Lake.